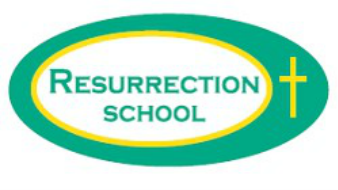 Resurrection School strives to deliver a challenging and accessible education which prepares students for high school, college, and beyond. Resurrection is an "A" rated school, as well as an Indiana 4-Star school. The Silver Burdett-Ginn Religion Series is the basic textbook used in Grades 1-5. The Sadlier Series is used in Kindergarten and in Grades 6-8. KINDERGARTEN CURRICULUM includes: Religion, Math, Reading Readiness, Social Studies, Science, Art, Music, and Physical Education. GRADES 1, 2, and 3 CURRICULUM includes: Religion, Math, Language Arts, Science, Social Studies, Art, Music, and Physical Education. GRADES 4 AND 5 CURRICULUM includes: Religion, Math, Language Arts, Science, Health, Social Studies, Art, Music, Physical Education, Technology, and Practical Arts. GRADES 6 AND 7 CURRICULUM includes: Religion, Math, Language Arts, Science, Health, Social Studies, Art, Music, Physical Education, Technology, and Practical Arts. GRADE 8 CURRICULUM includes: Religion, Math, Language Arts, Science, Health, Social Studies, Art, Music, Physical Education, and Technology. Kindergarten – eighth grade students also have scheduled times to work in the computer lab.